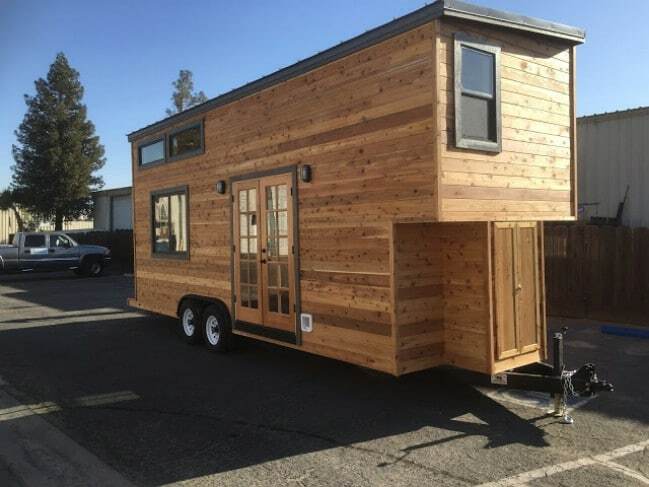 California Tiny House builders out of Fresno, California have a goal to build the best product possible at an affordable price. 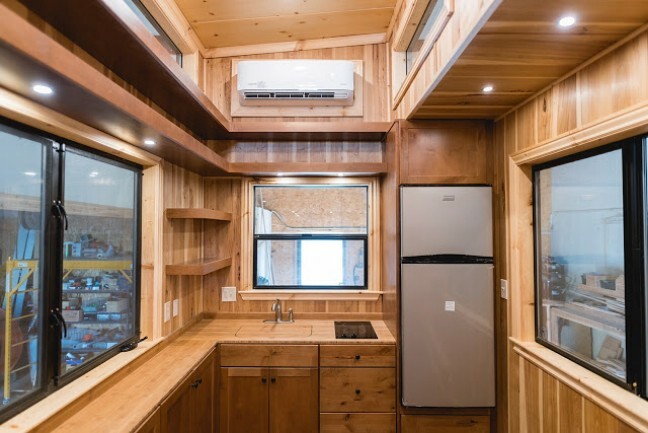 Their certified movable tiny houses are truly beautiful and it’s easy to see they have an eye for details and craftsmanship. 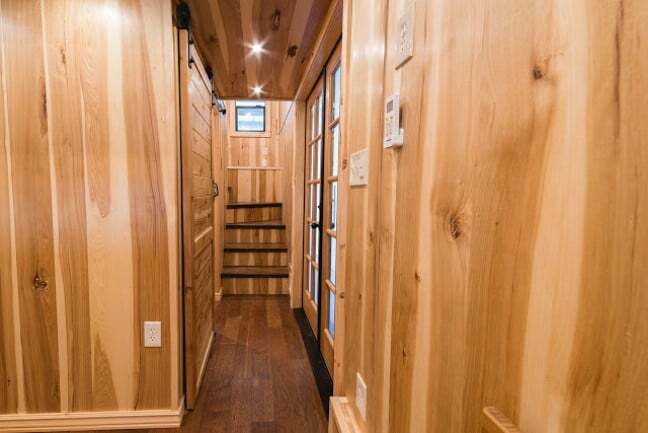 This particular model is built on a 24-foot long trailer and starts around $45,000 which gets you cedar tongue and groove siding and a metal roof. 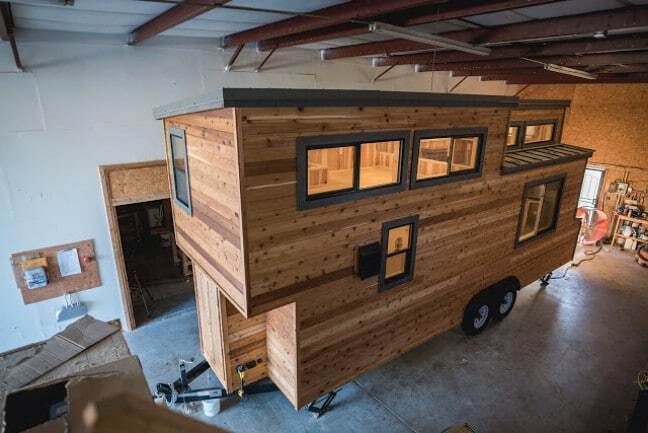 We love the unique lines and angles of this model and think they set it apart from many tiny houses that we’ve seen. 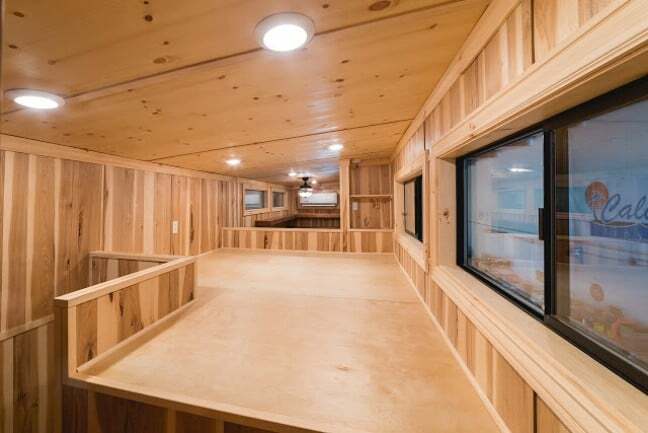 Inside, the natural beauty of wood is definitely on display throughout the entire home! This home has a rustic charm and custom features such as the double shelves that wrap around the kitchen ceiling. 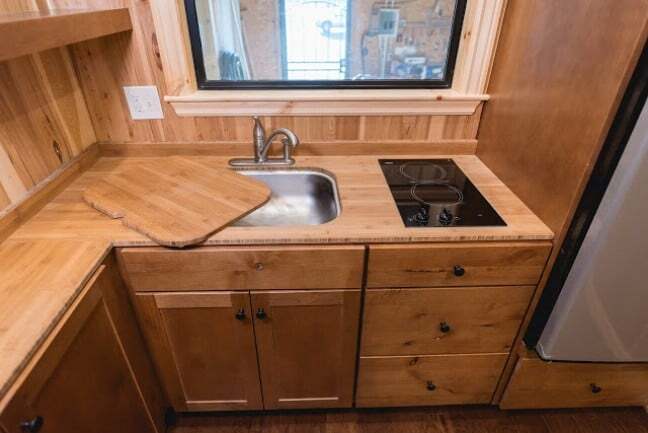 The kitchen features tons of cabinets and drawers with beautiful countertops and a sink cover that gives you more prep space. A small electric stovetop was added as well as a compact refrigerator. 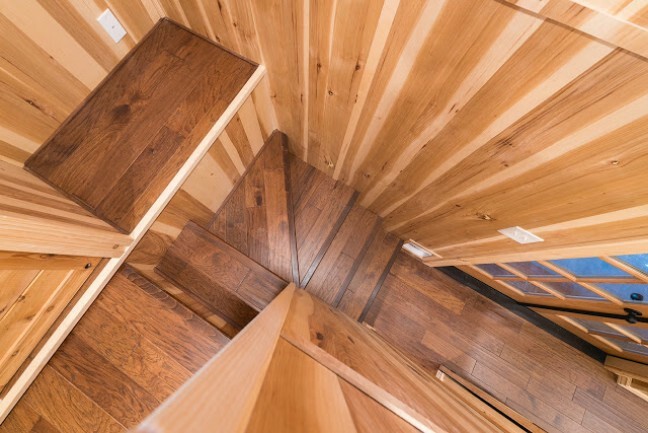 The loft bedroom is reached by a winding staircase and has a closet with a sliding door. 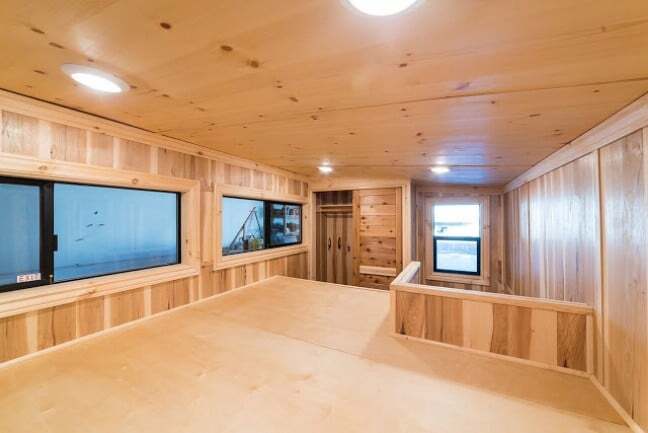 Long windows line the bedroom and give you all the natural light and fresh air you could want. 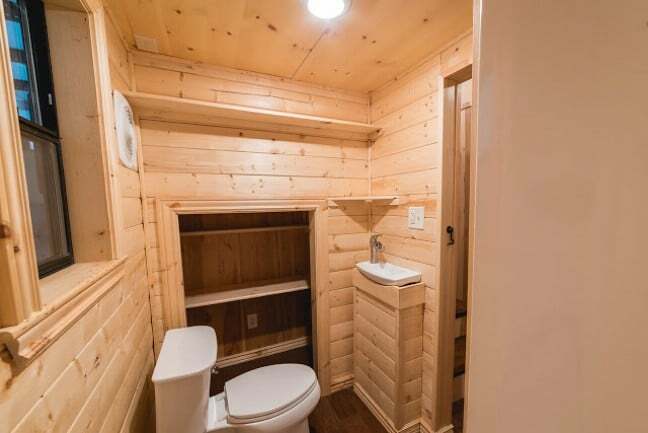 Back downstairs, the bathroom has a flushable toilet with a slim custom sink and vanity as well as tons of storage space and a shower stall. This home has natural beauty from every angle and would be perfect in a rustic setting. 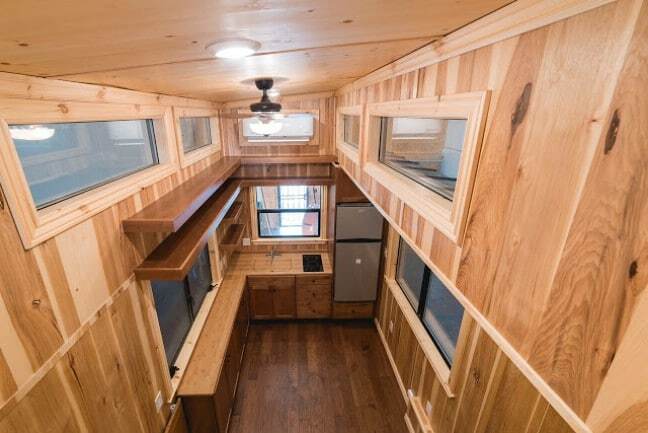 If you’d like to learn more about California Tiny House, visit their website at http://www.californiatinyhouse.com/ and see how they can help make your tiny house dreams come true!